Fire Prevention Week is October 8 – 14. Its focus is to help spread awareness and information about fire safety. If you haven’t spoken to your family about home fire safety, now is the perfect time! We put together a fire safety checklist and some common fire facts to help you educate your family on common risks associated with fire and smoke. Learn more about what to do during a fire, and how you can prepare your family to respond quickly and efficiently to fire danger. There are a few steps every family should take to ensure readiness for a fire emergency. 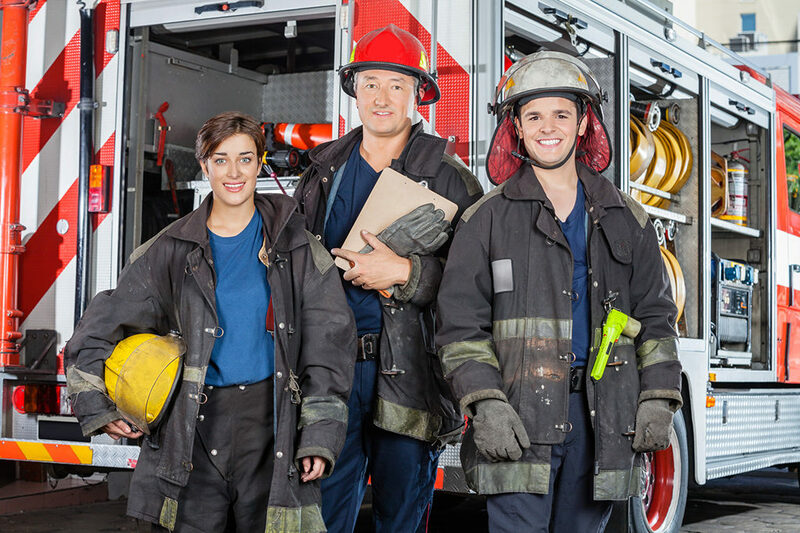 This fire safety checklist contains the three most important steps to protecting your family and reducing the likelihood of injury from a sudden fire. Many homes don’t have smoke alarms which meet these requirements. But during a fire, seconds count! Walk through your home and note any significant gaps in your smoke detectors’ coverage. Especially if you’re moving into a new home, you need to make sure your home is adequately protected against fire emergencies. Don’t forget to test them at least once per month. Most fire alarms will begin beeping to let you know their batteries are low – but you should never rely on those alerts alone. Your alarm may not have one, or you may have been out of town when it went off. It only takes a second to test your alarms, so don’t neglect this critical home fire safety step. Habitec Security’s fire alarms and smoke detectors are simple to use and can be connected to a complete home security system to offer you maximum protection. With local monitoring stationed in Ohio, our active protection ensures a fast response to keep you safe. If your home needs fire protection equipment installed, contact us for a free evaluation! A fire escape plan is a critical part of your fire safety checklist. It will help you and your family know what to do in case of an emergency. The most important part of the plan is to walkthrough your home and find exit routes from every room. Ideally, you’ll be able to find at least two in each room, in case the fire has blocked your primary route. Make sure your child knows how to unlock and open your windows, as they’re the most likely secondary exits when the door can’t be used. After the escape, your family should plan a designated meeting spot. It should be close to your home, but a safe enough distance away to protect your family from the fire and smoke. Meeting spots are important so you know everyone safely escaped your home. If someone isn’t at the meeting spot when firefighters arrive, you can let them know so they can attempt a rescue. Once you have a plan, you need to practice it. Walk through your home and test your child’s knowledge of how to escape a room, and the fastest routes out of the home. Pretend the fire has filled your home with smoke to see if they remember to crawl on the ground. The more you practice, the better your family can respond in case a fire happens. This is also a great time to explain to your family to never re-enter a burning building – even if they feel something or someone needs rescued. If your family knows how to use fire extinguishers, it’s possible to prevent a small fire from growing out of control. Even though many homeowners will never use their fire extinguishers, you need to keep them somewhere readily accessible. Fire emergencies are frantic, and every second wasted trying to find your extinguisher increases the risk of fire damage and harm to you or your family. Speak with your local fire department about teaching your teen how to use a fire extinguisher. They will also explain how to maintain them and how frequently you should replace your extinguisher. Remember to explain the difference between when a fire extinguisher is safe to use, or when they should escape and call 911 instead. Home fire safety education is very effective at warning families about the dangers of fire. But it can be easy to forget asphyxiation from smoke is actually the most likely cause of death or injury during a fire emergency. It only takes minutes for smoke to fill a home. In addition to obstructing your vision, smoke inhalation can quickly lead to unconsciousness. Smoke rises, which means during the initial part of the fire, it may be safer to crawl along the ground to limit the amount of smoke you inhale. In addition to smoke and CO2, house fires can also create a carbon monoxide risk. When organic matter isn’t completely burned, it can produce carbon monoxide. This gas is completely invisible to your senses: it’s odorless, colorless, and tasteless. Every home should be equipped with carbon monoxide detectors too! You need to react at the first sign of a fire. While deaths related to fire have steadily decreased over time, the speed at which modern homes burn has increased. Lightweight materials in modern homes has dramatically reduced the time you have to escape a burning home. New housing materials not only burn quicker, they’re more prone to failing and collapse sooner – without warning. While many years ago you had upwards of 15 minutes to escape, the average escape time in modern construction is as low as 2 minutes. When you cook, make sure to keep a close eye on any active source of heat. If you frequently cook, make sure you know how to handle common kitchen fires – such as smothering oil fires and never trying to extinguish them with water. Get a Free Home Fire Safety in Ohio or Michigan! Habitec Security offers personalized home security and safety solutions, including fire alarms, carbon monoxide and smoke detectors. If you want to protect your home and family from a fire emergency, our experts can design a system for your needs and backed by award-winning, 24-hour local monitoring. Contact us today!